Last night I went to the Barbican to a performance of Gustav Holst’s Planets by the BBC Symphony Orchestra conducted by Ben Gernon and with between-movement remarks by Brian Cox. This was to mark the centenary of the first performance of the suite. I’d have preferred Cox to have spoken at the start and the music to have been performed without interruption, but it was still a fun evening that I enjoyed a lot. It was also an evening where I realised how much my appreciation of certain aspects of The Planets has been coloured by the recordings through which I became familiar with the music. Recordings of classical music function differently from pop recordings. The pop recording – since the early to mid 1960s at any rate – has not functioned as a straightforward reproduction of a musical performance. It’s an art form in itself, one not assumed to be inferior (or, it should also be said, superior) to the same song performed live in concert. Pop fans are comfortable with the idea that a song heard on the radio would sound little like the same song performed live, and that any or all elements of the vocal performance and arrangement may differ, even in terms of the basics like tempo and key. 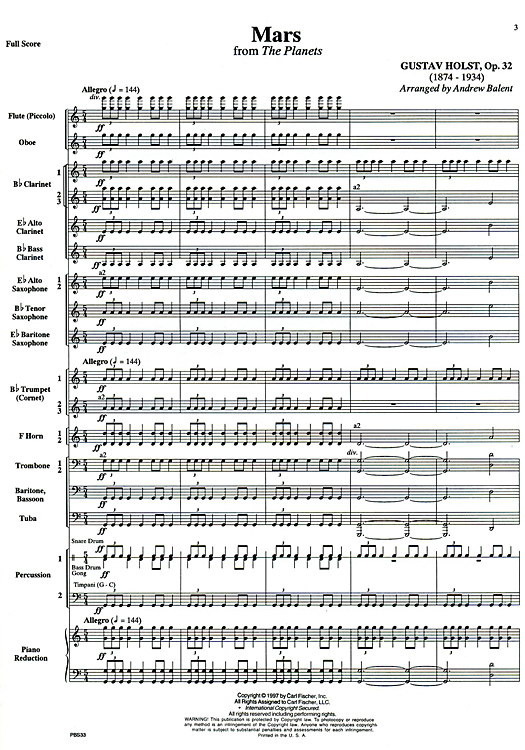 Classical music engineers have, in contrast, striven to create as clear a reproduction of the performed music as possible, ideally putting themselves in service of the conductor’s vision of the music by recording it as neutrally as possible. (Terms such as “neutral” would be hotly debated by audiophiles and the recording engineer community, but I’m arguing in broad strokes here, so go with me on this.) The choices and preferences of the engineer and producer would scarcely come into it, and listeners at home should hear what the conductor would have wanted them to hear in the concert hall. This is music of unimaginable distances and patterns we’re far too puny to discern. Its most chilling moments come shortly before the female chorus enters. We hear a dark, barely discernible rumble accompanied by arpeggios on the celeste. Harpists play continuous ascending and descending glissandos before, finally, the cellos and oboes play an ascending melody that just won’t resolve; Holst repeatedly leads you up and then away from where you feel the point of resolution should be. It came as something of a surprise to me, when hearing it performed in the concert hall last night, that my love of this music is so informed by the specific recording I know best: Charles Groves conducting the Royal Philharmonic at the acoustically wonderful Watford Town Hall in 1987, recorded by Telarc Digital. Telarc were the first classical label aboard the digital-recording bandwagon, working with Thomas Stockham and his Soundstream recorder in the 1970s, so these guys wrote the book on digital recordings of large ensembles. Their 1987 Planets sounds excellent. But no recording can truly recreate what it sounds, and feels, like to hear music in an auditorium. 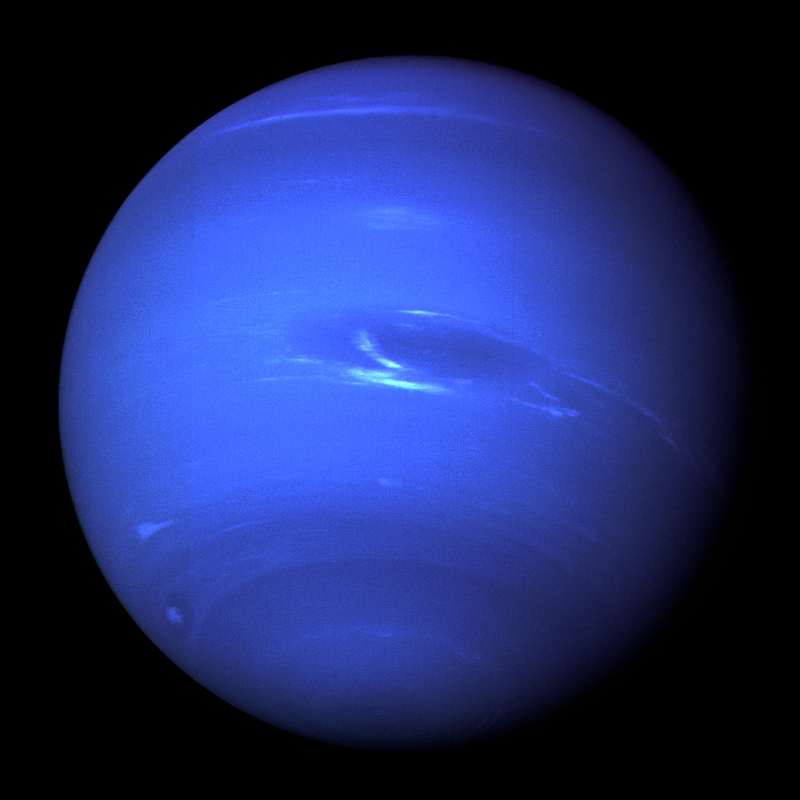 Some of the otherworldly mystery I love so much in Neptune, the Mystic seems to me now to come from that recording. Its somewhat attentuated low end allows a slight dominance in the treble register – the harps, flutes and celeste – that make the music so, for want of a better word, spacey. Further away. Mysterious. Dangerous. The sense of threat carried by the low strings is felt more than heard, which makes it all the more troubling. In the room, the same passages of music sounded muscular and earthbound, balanced more equally between high and low. Obviously this is not necessarily a bad thing, but it is a different thing, and one not wholly down to the conductor’s choices. The fact remains that music heard acoustically hits your ear differently to music mediated by recording and playback technology. What’s surprising to me is that I prefer the mediated version. It’s closer to what I want the music to deliver emotionally. This entry was posted in Music, Uncategorized and tagged BBC Symphony Orchestra, Brian Cox, Charles Groves, digital recording, Gustav Holst, Neptune, Neptune the Mystic, recording philosophy, Royal Philharmonic, Telarc, The Barbican, The Planets on September 30, 2018 by rossjpalmer.